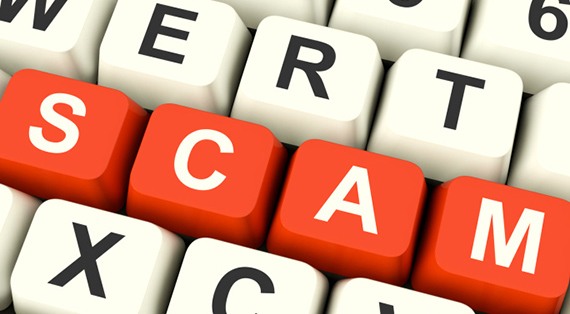 Blog | Keep Your Eyes Open For Scam Artists Posing as Microsoft! Dec 31 2014Views 374 Keep Your Eyes Open For Scam Artists Posing as Microsoft! Recently there has been a growing trend of individuals falsely posing as Microsoft technicians in order to retrieve sensitive information from end users. It is very important for you to know that Microsoft tech support will never call you out of the blue, in order for a Microsoft technician to call you a support ticket must have been created on your end first. These individuals are very tech savvy and are very familiar with the ins and outs of how Microsoft and their support team work. This makes it more difficult to decipher whether the phone call is legitimate or phony! In recent reports Microsoft claims to have received as many as 65,000 complaints from customers who have been targeted by fraudulent Microsoft technicians. Legitimate companies have also been penalized for unrightfully using the Microsoft trademarks and logos for their services. This is illegal in every sense, and these companies are trying to affiliate themselves with this technology powerhouse in order to boost their appearance and credibility for their clients. The scam starts off with an aggressive tech calling you up to let you know about an infection or a vulnerability to your computer or network. This fake tech will them proceed to intimidate you by making you think you will lose all of your data and sensitive information will be compromised. Don't believe them! They will continue to try to find ways to get the victim to pay money for immediate tech support for this critical issue (fake issue!). Don't let yourself be fooled by a scammer who has more computer knowledge then you. They have ways to sound convincing. Just know that a Microsoft tech will not just call you to let you know your computer has a problem, just like your doctor wouldn't call you to inform you that you have a virus. Be on high alert, especially if your computer is running with no issues and you are approached by someone trying to tell you it's not!